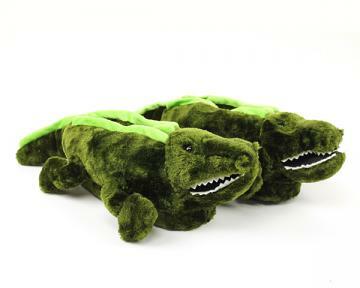 Even alligators can be cute and cuddly! 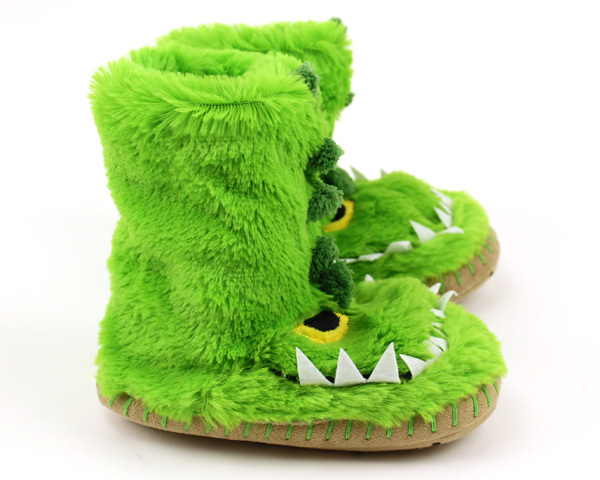 Let your little gator show you how in these darling Kids Alligator Slouch Slippers. 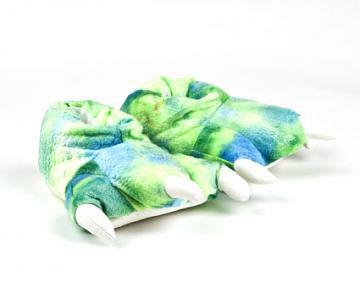 Soft felt teeth will take a bite out of the cold. 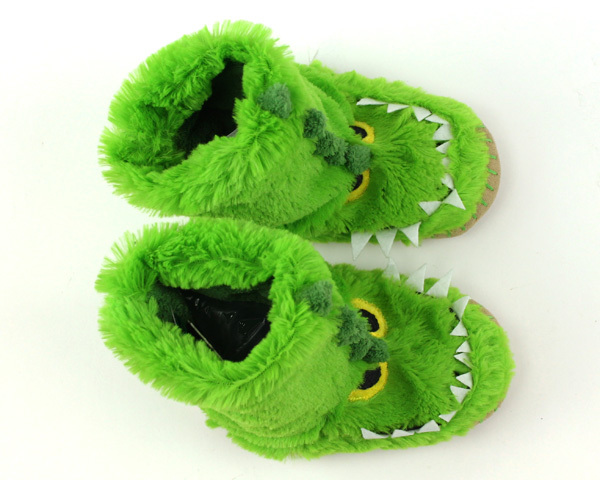 The impossibly cozy,100% polyester fleece will keep their little feet warm no matter what the weather report says. 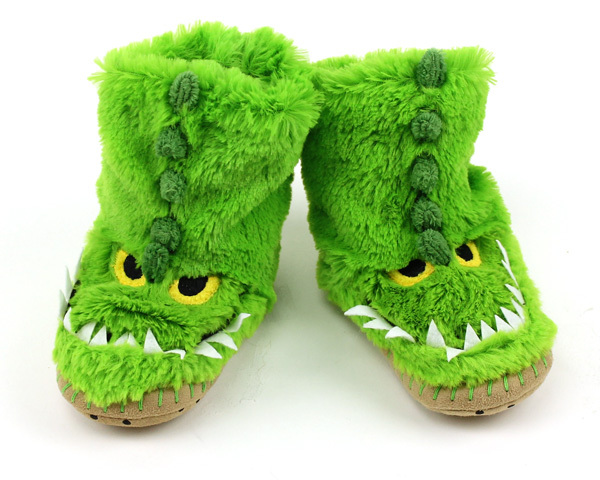 Subtle striping up the shin adds character and detail, while the soft micro-suede sole adds comfort and cushioning. 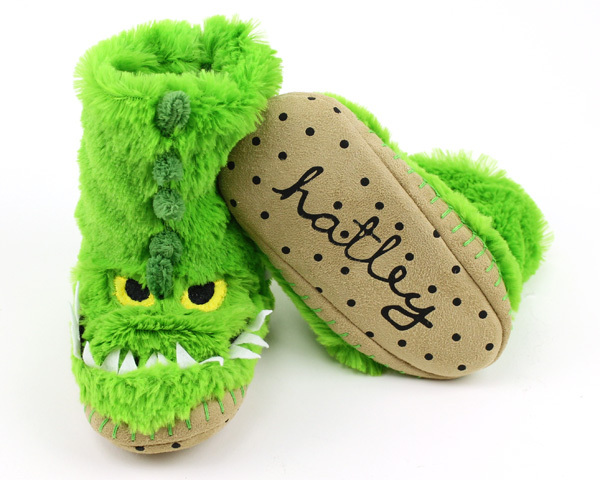 From the swamps of Louisiana to the comfort of your home, you'll have the cutest gator around! 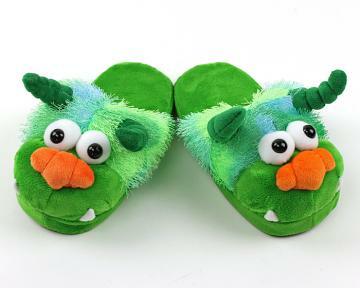 I purchased these for my 3 year old grand nephew after he grew out of the doggie slouch slippers that loved and wore everywhere.